Elizabeth Vecchiarelli looks to tap into the Bay Area foodie community's resurgent interest in old-fashioned methods of food preservation. The new program, which Edwards is promoting as a "permanent pop-up restaurant," is called Crate, and it is nothing if not ambitious. Crate will occupy the entire ground floor of the three-story, multi-purpose Venue, and in addition to serving both lunch and dinner, the pop-up space will also have a full bar, a DJ booth, and a gallery space for displaying both physical and digital artwork. The idea, Edwards said, is to create a space centered on food, music, and art — and to find ways for all three to complement each other. Crate will launch at 5 p.m. on Friday, April 3, and will coincide with that evening's First Friday festivities. Edwards, a Los Angeles transplant, said he drew inspiration from a permanent pop-up in Dallas, Texas called Kitchen LTO ("Limited Time Only"), whose premise is to change chefs and design concepts — essentially reopening as a brand-new restaurant — twice a year. But for East Bay diners, Crate's rotating lineup of chefs will likely bring to mind Oakland's Guest Chef, the Rockridge restaurant that pioneered this "permanent pop-up" business model before it closed in 2013. Like Guest Chef, Crate takes a percentage of each pop-up's overall sales — a 15 percent cut, in Crate's case — in exchange for use of the fully equipped kitchen and forty-seat dining area. (Edwards also charges a $100 daily rental fee.) And, as with Guest Chef, what Crate offers is a physical location that will allow food truck operators, caterers, and other up-and-coming chefs to bring their food to a wider audience. Unlike at Guest Chef, however, chefs will rotate frequently, rarely staying on for more than a week — in fact, there might be a different pop-up in place at dinnertime than there was during the lunch shift. The Rockridge pop-up space always rented out its kitchen for at least two weeks at a time — a big commitment for newcomers who had never run a restaurant before. For the art and music components, Edwards said the idea is to achieve a synthesis whenever possible. In some cases, a chef might bring in his or her own artist and DJ to produce one cohesive experience. Other times, a chef serving, say, Southern-style biscuits might request that the DJ play soul music. And if all of this weren't ambitious enough, Edwards also plans to offer SpoonRocket-style delivery service throughout downtown Oakland for customers who order ahead of time. The lineup for the April 3 launch is still being finalized, but Edwards said he has been in talks with folks ranging from Fivetenburger (one of the most popular food trucks in the Bay Area) to Smelly's Creole & Soul Food (a catering business) and Co Pollard, who sells his signature grilled pastrami links from a small street cart in East Oakland. Edwards pointed to the latter two as precisely the kind of food businesses that, while they boasting a devoted following, could benefit from the exposure they'd get from making regular appearances at Crate. "It's going to be a good thing for Oakland," Edwards said. 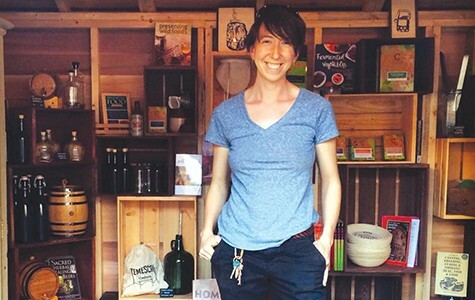 The latest Oakland pop-up shop is located in an eight-by-twelve-foot garden shed in the backyard of the home decor store Neighbor (4200 Piedmont Ave.). The pop-up, which owner Elizabeth Vecchiarelli has dubbed Preserved, looks to tap into the Bay Area foodie community's resurgent interest in old-fashioned methods of food preservation. While it's hard to throw a stick in Oakland these days without hitting a shop touting artisanal pickles, Preserved takes more of a do-it-yourself approach. In other words, instead of selling pickles, Vecchiarelli will sell you all of the supplies you need in order to make your own pickles. 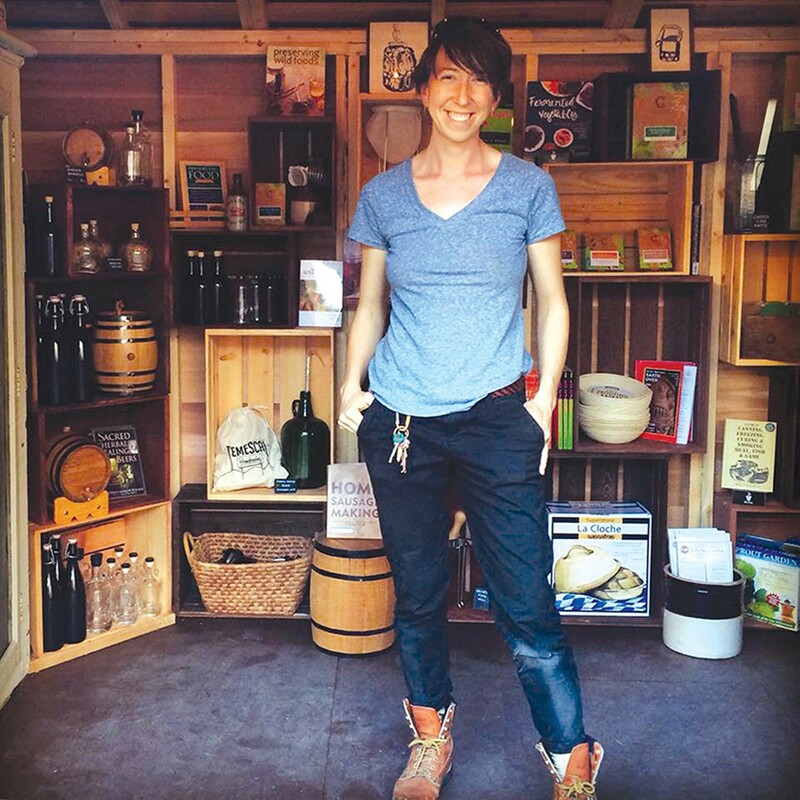 She explained that the shop is meant to meet the needs of urban homesteading experts and novices — the latter of whom may want to check out the sauerkraut or kombucha "starter kits," which come with air-locked jars, recipes, and other basic supplies. And for aspiring bakers, Vecchiarelli sells three different sourdough starters: a traditional one, one with whole-wheat flour, and a gluten-free version that's made with brown rice flour. 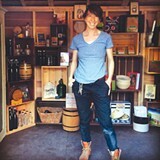 It feels appropriate, then, that the cedar wood shed, which Vecchiarelli built herself, has an old-timey general store vibe. The shop also has a couple of picnic tables outside, at which it will host weekly classes on the various arts of food and drink preservation — how to can vegetables, smoke meats, brew stove-top beer, and so forth. Because Preserved has limited visibility due to its lack of a traditional storefront, Vecchiarelli is rolling out her business slowly, with just limited hours to start. For now the pop-up is Saturdays and Sundays only, from noon to 6 p.m., but if all goes well, Preserved will be open six days a week by May.